* Rates of tax and the higher rate threshold in Scotland are different to those elsewhere in the UK. There is a starting rate of 19% applying to the first £2,000 of taxable income, then the UK basic rate applies up to total income of £24,000, above which a rate of 21% applies. The higher rate (which applies from total income of £43,430) is 41% and the additional rate on income over £150,000 is 46%. This makes tax planning more challenging, but slightly more beneficial when dealing with Scottish taxpayers. Transfers on or within 7 years of death to a spouse domiciled outside the UK are exempt only to the extent of £325,000 plus the exemption in respect of the residence nil-rate band (£125,000 per individual up to and including the current tax year). 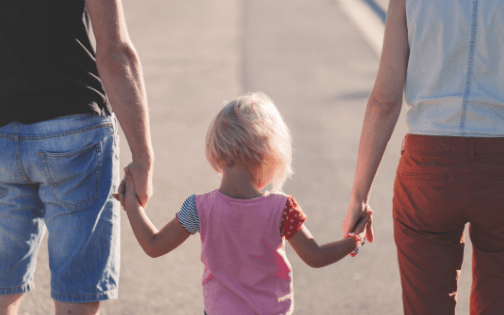 For younger children, ongoing payments into a Junior ISA may create the opportunity for parents, grandparents and other family members to build a fund to help offset university expenses and minimise debt at the start of your child’s working life. Remember that all children have their own personal allowances meaning that their income up to £11,850 escapes tax this year provided the capital does not originate from parental gifts. If income arising on parental gifts exceeds £100, the parent is taxed on it unless the child has reached 18, or is married. Thus parental gifts in excess of, roughly, £10,000 (assuming an interest rate of 1%) in total should perhaps be invested in something which produces tax-free income, or which accumulate income, or in a Junior ISA. The £100 limit on income does not apply to income on gifts into a National Savings Children’s Bonus Bond. Income from capital gifted by grandparents or other relatives is taxed as the child’s, as will income distributions from a trust funded by such capital. Tax relief worth up to £336 this year is given on maintenance paid to a former spouse under orders or enforceable agreements, so long as at least one of the former parties to the marriage was born before 6 April 1935. Otherwise, maintenance payments do not qualify for tax relief. Maintenance payments received under orders or agreements are not taxable. Execute a lasting power of attorney – so that if, whether as a result of an accident or illness, you become incapable of managing your affairs, you can be reassured that responsibility will pass to someone you choose and trust. On a practical note, tell your spouse and executors where your Will and any related documents are kept – it is still up to you whether or not you tell them what the documents contain, but if you are passing responsibility for managing your affairs on to others, it would be advisable to talk matters through with them now.